Although many people own digital e-readers, nothing will ever be the same as holding a book in your hands and feeling the pages. These bookmarks are the perfect small, inexpensive presents for the book lovers in your life. Many book lovers think it is a sin to crease the page corners so a handmade bookmark will be an appreciated gift. You can use a variety of paper for this whether it be plain or colorful, matte or shiny, anything is possible. Construction paper, crepe paper or tissue paper are common to use for this project but if you want something fancier you can go to your local artist supply store. So make some bookmarks for yourself and your book-loving friends. They will truly appreciate your handmade gift. 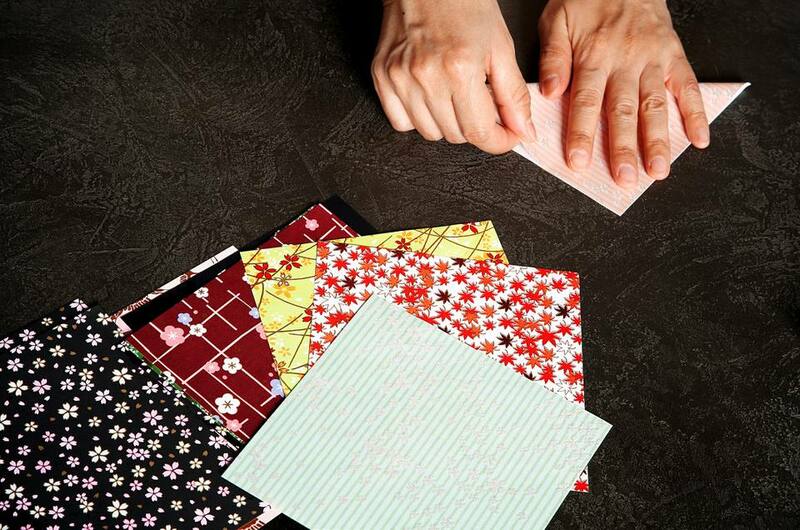 Cut a seven inch square from the scrapbook paper of your choice. Place the square printed side down. Place the square printed side down and fold in half as in the picture above. Open the paper square, printed side down. Fold the left corner inwards at the centerfold, and then fold the right corner at the centerfold. Use the above photo as a guide. Make sure you have crisp creases. A bone folder will help you get the creases as crisp as possible. Fold the square in half again. The printed side should be on both sides of the bookmark. Determine the middle point of the folded long edge. Take the right end and fold it downwards at the middle point. Fold the left end downwards at the middle point. Your origami project should now look like the photo above. 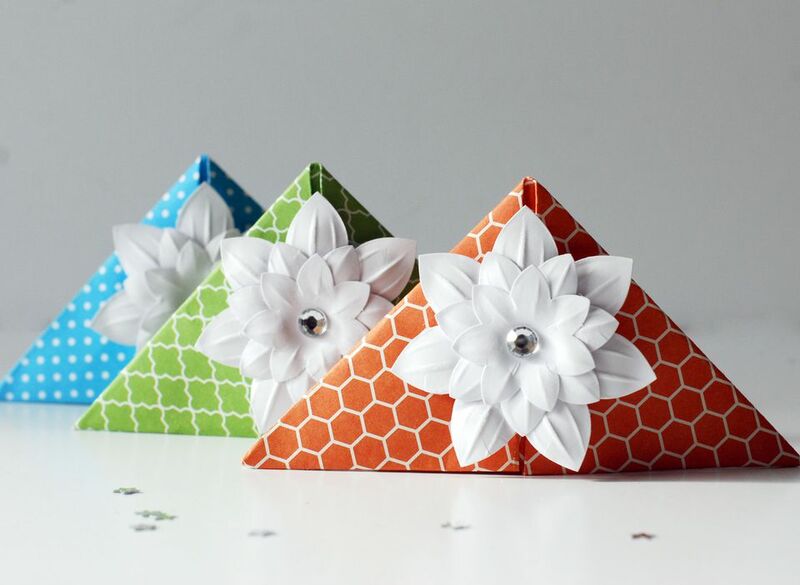 Pick up the origami project and open up on the bottom. Tuck the right end into the opening and crease.sharply. Tuck the left end into the bottom opening and crease sharply. Your bookmark should look like the picture. If it doesn't don't despair! It can take a couple of tries to get it right. Once you get the hang of it you can make this in under a minute. If you want to jazz up your bookmark you can glue on an embellishment of your choice. I think the white paper flower make the bookmark extra special. Give your bookmarks to your friends and acquaintances as gifts. The right kind of packaging makes the marker look that much more unique. Just put them in a clear plastic gift bag, then staple the bag together at the top. Add a printed bag topper with your particular sentiment. The bookmarks look like they came from a boutique gift store! Get ready for the compliments coming your way after you give the bookmarks to your friends! This present will cost next to nothing to make, and your friends will appreciate your thoughtfulness and crafty skills.